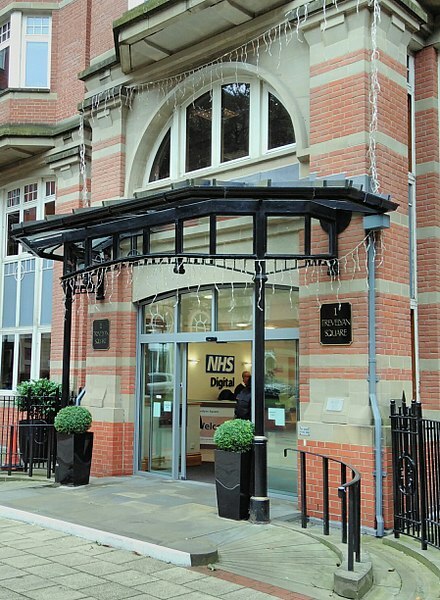 Image: Headquarters of NHS Digital in Leeds. Photo: courtesy of Kaihsu Tai/Wikipedia.org. NHS Digital and NHS England have collaborated with IT suppliers to launch a service that enables NHS staff and parents to access crucial child health information. Through the new live national service, such information can be availed at the point of care by health professionals and parents. According to NHS Digital, the information can be obtained securely by digital means by parents and health professionals. The details can be used for making decisions on care and treatment through the National Events Management Service, which securely publishes details on major health interventions for children. The new service shows the preventative interventions received by a child, thereby enhancing the speed of diagnosis and treatment by giving health visitors and parents simultaneous access to the same information sources. NHS Digital digital child health programme manager Martin Dennys said: “Child health information is currently held across a number of different information systems across the UK. The new digital tool has been initially rolled out in North East London in partnership with North East London Foundation Trust (NELFT) and their health visiting and child health services. NHS Digital has collaborated with System C2 (CarePlus), Sitekit4 (eRedbook) and Servelec3 (Rio) to connect their systems to the new service at the NELFT. The new service involves sending of a near real-time message about birth notifications, change of GP practice details and change of address. Data is also forwarded to a digital red book provided to mothers as an alternative to the presently used paper red book. NELFT programme manager David Pike said: “The results so far have been very encouraging. Within the first couple of days we achieved a 20% increase in the timeliness of new birth notifications from out of area maternity units, enabling our health visitors to see new families sooner. NHS Digital believes that over time the scope of the National Events Management Service will evolve. The agency expects to work in conjunction with other local and national services, to support the entire Healthy Child Programme pathway and eventually provide NHS-held clinical information to parents through digital red books.